Floyd really wanted to run a Sun tach - the perfect look for the car. 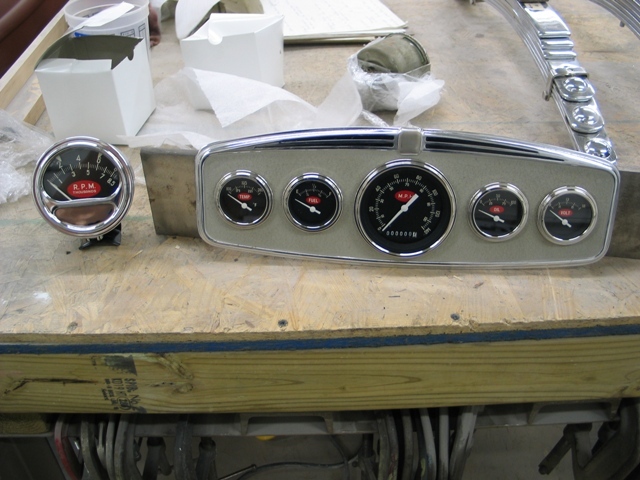 So we figured the perfect set of gauges to work with the tach would be a custom made set from Classic Instruments. These guys always come through for us, delivering just what we want. 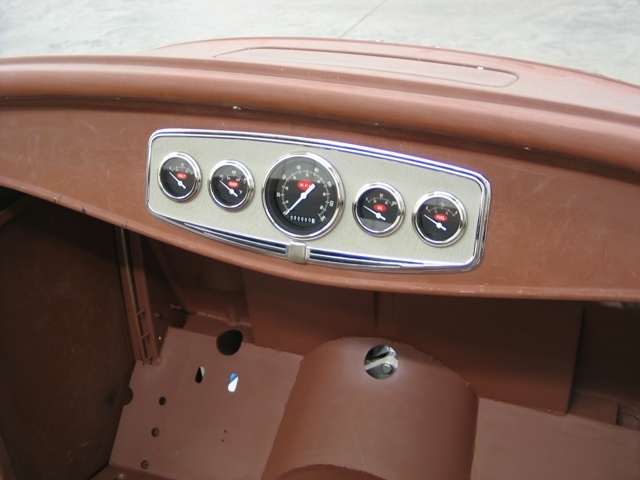 We thought a matched a set of gauges to the tach would be just the right look - something that should have been done years ago! After much thought, the panel (of unknown origin) is mounted. We thought about sinking it, etc, but we felt it just wouldn't have been done that way back in the day. 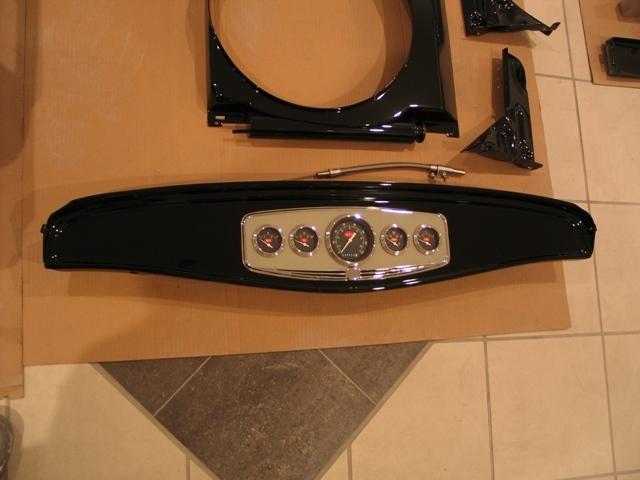 The finished piece, ready to be installed once the body is painted.